Can one refuse compulsory vaccination? The European Court will soon rule. 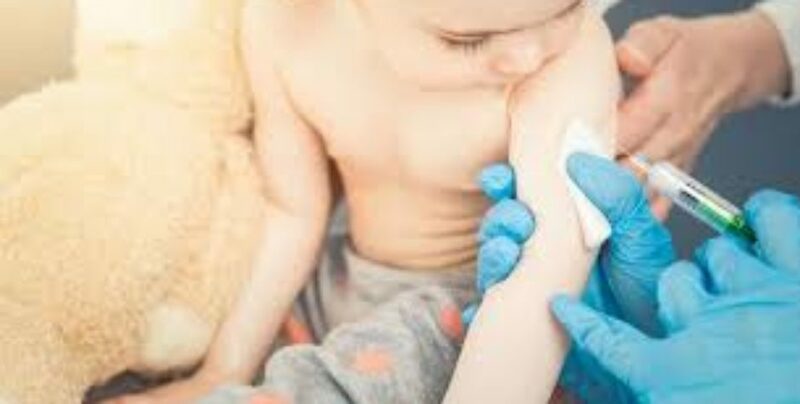 While the French government announced its will to make compulsory 11 vaccines for children under 2, the European Court has received the case of Czech parents who were sanctioned for refusing to submit their children to compulsory vaccination. In this Pavel VAVŘIČKA et autres c. République tchèque case (no. 47621/13), the Strasbourg Court is asked to judge whether the obligation to vaccinate and the sanctions taken against the parents (notably denying access to school) respect freedom of conscience and the family freedoms (art. 8 and 9 of the Convention and art. 2 of Protocol No.1 to the Convention). The ECLJ intervened in this case and submitted written observations to support the respect of the rights of parents, of the physical integrity of the persons and of the right to conscientious. More generally, the ECLJ is in favour of a public health policy aiming at reconciling concurring rights and freedoms, by emphasising pedagogy and recommendations rather than constraint. This case is important for it is about the respect of physical and moral integrity of the persons, arising from the precedence of human being over the sole interest of society or science. This respect is also found in the free and informed consent of the person before any intervention in the health field. These principles are stated respectively in art. 2 and 5 of the Convention for the Protection of Human Rights and Dignity of the Human Being with regard to the Application of Biology and Medicine of 1997 (Oviedo Convention) of which the European Court is also the interpreter. The development of biotechnological knowledge demands with a particular acuteness to establish principles defining the power of society on the body and health of the persons. In the XXth century, the governments of numerous countries, even democratic ones, have abused their power to make the body of persons an object of their policy, particularly hygienist, racist and eugenic policies. In its written observations submitted to the Court, the ECLJ underlines that an important part of European States does not have an obligation to vaccinate, and even sometimes have a positive right to conscientious objection. As soon as 1898, the British Parliament, adopting the Vaccination Act  recognised parents the right to refuse vaccination for their children if they deemed it useless and/or dangerous. Europe is quite divided on this subject. In the EU, Austria, Cyprus, Denmark, Estonia, Finland, Germany, Ireland, Lithuania, Luxembourg, the Netherlands, Norway (EEA and Schengen), Portugal, Spain, Sweden and the United Kingdom have no obligation to vaccinate. The other countries have an obligation to vaccinate with between 1 vaccine (Belgium) and 12 (Latvia). With 11 compulsory vaccines, France would be one of the most constraining countries. Hence, a public health policy aiming at reconciling concurring rights and freedoms, emphasising on pedagogy and recommendations rather than constraint, and putting in place more flexible procedures, would certainly be more respectful of the physical and moral integrity of the persons, as guaranteed in art. 8 and 9 of the Convention. The legitimate aim sought by compulsory vaccination could be reached through measures both less constraining and more respectful of the fundamental rights of parents and their children. Bertrand A, Torny D. Libertés individuelles et santé collective. Une étude socio-historique de l’obligation vaccinale. Cermes - Rapport au Conseil supérieur d’hygiène publique de France, novembre 2004, 108 pages. Cécile Casciano, « L'arrêt de la vaccination obligatoire est inéluctable », L’Express, 20 mars 2015. Académie Nationale de Médecine, Communiqué, À propos du maintien ou de la levée de l’obligation vaccinale, 27 octobre 2015.